When the days are long, the weather warm and the living somewhat easy, a hammock stretches between the two old maple trees that settlers and Native Americans passed as they traversed this northeast corner of Vermont. “As I talk to you, I can see them right now,” says Reeve Lindbergh, 73. She is talking by phone from her home, situated on an old farm, near St. Johnsbury, where she has lived with her husband, writer Nat Tripp, since 1987. In the early spring, the trees house cedar and Bohemian waxwings and provide shade for the hosta, pulmonaria and lily-of-the-valley Lindbergh has planted near them. Often, a merganser nests in one of the cavities, attending to her eggs until they hatch. A quick tumble to the ground and they are off to a nearby pond. In the fall, Lindbergh rakes the leaves that drop. The bare branches in winter mean the seasonal cycle begins again. 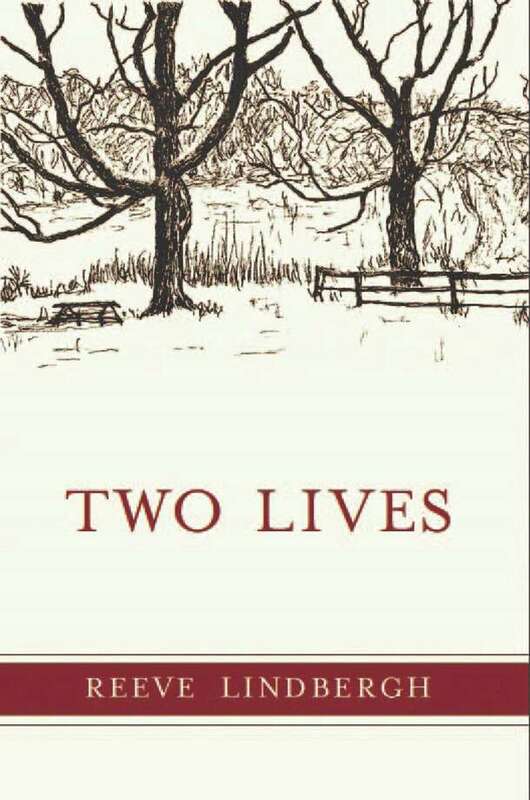 A pen-and-ink sketch of that winter scene, created by her late mother-in-law Alice, graces the cover of Lindbergh’s latest book “Two Lives” (Brigantine Media, 2018). The farm is the place she retreats and recharges after forays into the world to talk about her famous parents, Charles A. and Anne Morrow Lindbergh, and life as their youngest child. These collection of essays are the written manifestation of her mental evolution in thinking about her individual identity and her public persona as a Lindbergh. She once thought it necessary to handle both with a kind of on-and-off switch. These days, it’s more of a toggle. Lindbergh, who largely grew up in Darien from the mid 1940s until the early 1960s, in each chapter jumps back and forth from her memories and the family’s legacy to to the hustle and bustle of the present — an existence where animals need tending, old growth needs clearing, seeds need planting, dinners need preparing and books need to be written. She has come to appreciate, and make peace, with this duality. They quickly captured the public’s fascination with their adventures, along with their great tragedy, the 1932 kidnapping and death of their first child, 20-month-old Charles Jr., from their New Jersey home. The intense media attention spurred the couple to retreat to Europe in 1935 with their second son, Jon, eventually returning to the United States several years later to settle in Darien and raise their growing family. Even now, she cannot entirely be “off” as a Lindbergh. Nary a day goes by when some correspondence doesn’t reach her, requiring a response — a request to use the family name; interest in her father’s aviation legacy, her parents’ literary works or historical archives; and, sometimes, communiques that delve into the kidnapping and death of Charles Jr., sharing conspiracy theories or beliefs there is a family connection. As she has gotten older, she has found it easier to switch back and forth between “Lindbergh mode” and her daily life. Even in her farm retreat, the arrival of such an email or letter is no longer so jarring. Conversely, she is happy to open the door to her daily life through written word. Though private, her late parents largely communicated their thoughts to the public through their words in books, stories and speeches — similar to the literary life their daughter has embraced. In addition to memoirs, she has written children’s books. Her latest book also reveals how important the natural cycle of seasons and regrowth has been to Lindbergh, whose had a front-row seat to history and what it is like to live one’s life in the public eye. “If I get too deep into the airplanes and what happened to my parents … if I think I am getting into this too much, I turn around and talk about the chickens,” she says, laughing.